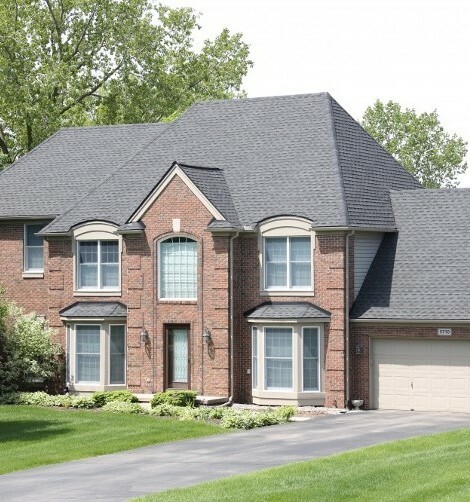 A roof is one of the vital components of a home or any building. Choose us for your reliable commercial and residential roofing company in Ann Arbor, MI, who service customers in Southeast Michigan; we are a reputable contractor you can trust to install your first line of defense against the elements: wind, water, heat, and freezing temperatures. When it comes to your comfort and the safety of your structure, the importance of a reliable roofing system cannot be understated. When you are looking for a local contractor for your roofing project; look no further than our experienced and reliable crew. We are a full-service contractor. Our crews are experts that have the skills and knowledge to perform roof repairs and replacement on residential, commercial, large or small-scale roofing projects. As full-service roofing contractors, we have developed a reputation over decades in business, for delivering comprehensive roofing services that stand the test of time. We understand the importance of having peace of mind when it comes to having a leak-free roof over one's head. With over 30 years of experience, you can expect exceptional workmanship and customer service from our GAF Factory Certified crew members. We hold our workmanship to unwaveringly high standards. Whether you need small-scale roof repair in the Ann Arbor area or a complete roof replacement, we have every aspect of your project covered — from start to finish. When it comes to the state of your roof, it is vital to put your needs in the hands of a certified roofing contractor you can trust. Turning to an unqualified contractor for repairs or roof replacements will cost you much more down the line. They may not stand behind their work and may not return to correct any problems that will come up. Ask us about our Workmanship Warranty. The last thing you want, as a homeowner, is to put your safety and the safety of your loved ones in jeopardy. As a factory-certified GAF Master Elite Roofing Contractor, you can count on our team to deliver top-notch, quality services that will meet the high standards set by our customers in today's highly competitive market. Whether you are interested in a quote for a flat, low-pitch or low-slope system, a custom look for your home that will set it apart and make it stand out from the rest — our team is here to work with you. We will find the best solution to meet your needs and budget. We understand the importance of an individualized approach with each project we take on. Let us help you increase your home's curb appeal today. With an A+ BBB rating, you can rest assured that our team will install a roof you can be proud of. Partnering with Imperial Building & Roofing, a local roofing contractor, also provides business owners and homeowners with a chance to give back to several nonprofit clubs and organization within their communities, such as youth group sports and Habitat for Humanity. From basic repairs to full tear-off roof replacement, in Ann Arbor, our skilled crew members are prepared to work on any slope. When you are you looking for a new construction installation; we can help you complete your project with a brand new roof. When it comes to roofers, Ann Arbor homeowners and business owners alike have called on Imperial Building & Roofing for over 30 years. Our team of professionals will work to install a new roof or make repairs to your existing roof. Visit our photo gallery to see some of our recent projects. In addition to designer shingle roofing selection, we offer roof repairs, flashing repairs, and leak mitigation, as well as replacement services for a variety of custom roofing systems, including stone coated and standing seam metal, cedar shake, and flat roofing membrane. Gutters & Downspouts: When you are having trouble with leaking or overflow with your gutters; let us take a look and give you options for repair or replacement. Siding: We can install a variety of vinyl, Hardie plank and fiber cement board siding, which can be a great alternative to traditional wood that needs painting every few years. Home Repairs: We replace roof decking damaged due to moisture, mold, and mildew; install bathroom fan vents or connect fans to existing vents with insulated hoses, as well as provide suggestions for you for any future repairs. Ventilation & Insulation: Call us for a free quote and help keep your home comfortable year round. Trim, Flashing & Framing, Fascia Board: We will repair and replace any trim, flashing on chimneys, chimney saddles/crickets, walls, parapet walls or skylights, replace rotted fascia boards, and build new framing for any projects you may have in mind. Masonry: We have masonry specialists experienced with brick and stonework, including steps, tuck-pointing and more. Custom Finished Basements: Trust Imperial Building & Roofing to handle all of the work required in making your basement a finished, usable space for your home. Skylights & Blinds: Skylights make a beautiful addition to any room. We have experience installing and replacing a variety of skylights in an array of styles and sizes. Choose Imperial Building & Roofing for your peace of mind. We proudly serve Ann Arbor, Pittsfield Township and the surrounding communities of Chelsea, Dexter, Ypsilanti, as well as all of Washtenaw County and Livingston County. Don't risk your own safety and the safety of others by putting off necessary roofing work. Failing to address these repairs in a timely manner doesn't just hurt your property value. It can also lead to a number of other structural issues that will result in extra cost down the line. Avoid the need for unnecessary roof repairs in the future by requesting a quote today. You will have a peace of mind knowing that you received the most skillful workmanship from a certified crew and the best workmanship warranty from a reliable local company. Turn to our experts to keep your roofing system beautiful and functional. Contact Imperial for an exact written estimate on your new roof. Our estimates are incredibly detailed and include our workmanship warranty, manufacturer's warranty, and specific roofing components that will be installed. There is no mystery. Contact our Imperial Building & Roofing to ensure you are protected against the elements and that your roof continues to perform its function for years to come. We proudly serve homeowners in Ann Arbor, Michigan. 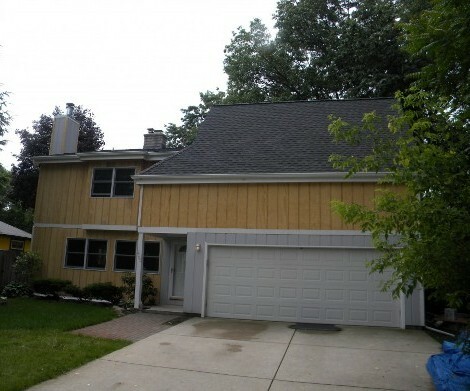 We also provide new siding in Ann Arbor as well as new gutter and downspout installations.